Chap Clark’s Hurting teens – thought provoking! Developing Small Group Leaders – tons of notes! Evan/mufan96 has some info too. Check it out here. I’ve been slacking a bit with the new music territory but it seems finally most everyone’s up to date with the fact that Passion’s got a new release. So why not discuss it? I gave you the setlist and video options already but what do you think? I think I’m a bit too close to the Passion crew for my own good. I can’t stay satisfied with these releases because there’s nothing new and what is new isn’t worth getting the whole CD. I mean seriously we have only 5 new songs here (I’ll give you Kristian’s because he’s not as well known,) we have 4 songs that have been on multiple releases, and 4 songs that have been previously released. All the previous released material was given a bit more gusto in the post-production or rerecorded but it’s still not enough. The one that stands out is what they did with You Are God. It really pops this time! 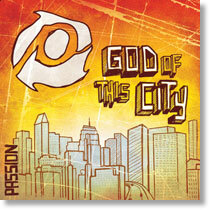 For the Passion fan who isn’t obsessed and has all the previous releases I imagine this CD would be GREAT for them! It’s full and it does capture a real sense of what Passion’s doing. As Louie says, it captures a moment of Passion and gives it to you. However, I’m still thinking the highly favored Tomlin side of the equation is a bit much. Between Crowder, Fee, and Kristian we only get 4 tunes. So what’d you think? I know the last full release fell on deaf ears by most. This seems like a noble attempt to rectify the situation. Did it work for you? Are you not SATISFIED?!?! Total review of the new stuff coming up! That’s a hefty list! Composed of live material taken from Passion 07 and the Regionals at Boston and Chicago, I’m sure the quality we’re getting will be of the Passion caliber that comes from their “live” recordings. The rub is that it’s “new” music from the crew but of the 14 tracks it looks like we’re getting only 5 new tracks. However, those 5 tracks all look really exciting! Apparently Kristian‘s new tune is just awesome! Another thing that looks promising is the work from Charlie that shows up here! Could we have a new Charlie Hall CD this year?!?!?! COULD WE!! I really liked their last release and loved You are God so I am totally eager to see what he’s bringing to the table next.